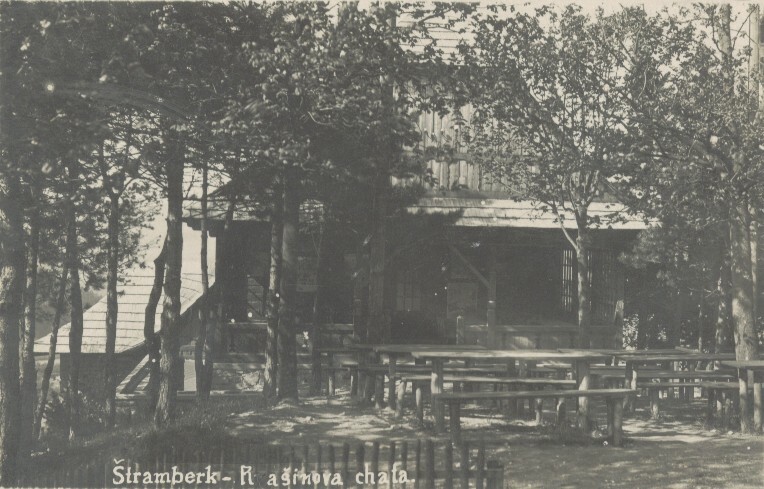 In 1925 the Štramberk branch of the Czech Tourist Club – a hikers’ organization – celebrated 30 years of activity. 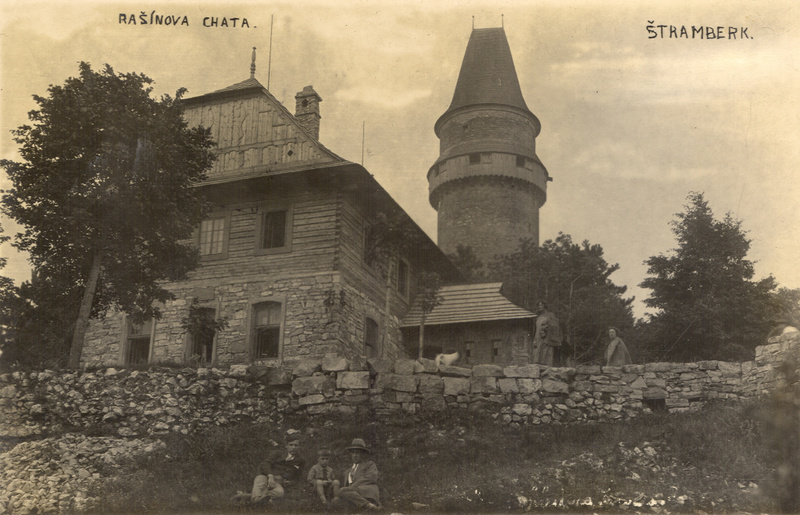 To mark the occasion, local members opened two buildings – the restored ‘Jaroněk’s shelter’ below the castle tower (named in honour of its designer Bohumír Jaroněk) and the newly built ‘Rašín cottage’ (now known as Dr. Hrstka’s cottage). 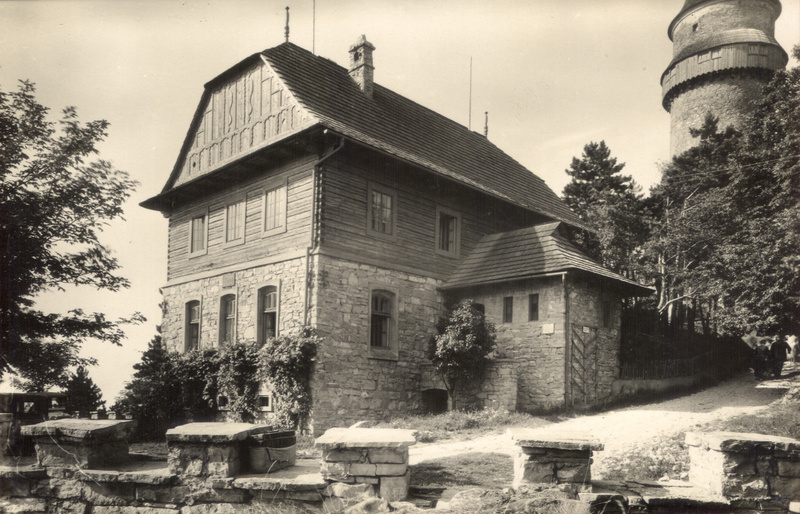 Building work on the cottage began in the early spring of 1925 to plans by the architect František Grossman, with construction supervised by the builder J. Gregor from Zubří. The cottage was opened to the public on 1 August, when it was presented to the local branch of the Tourist Club. On the ground floor there were 2 communal bunkrooms with space for 14 people – one for 10 men, and the other for 4 women. On the upper floor – with access via an outside veranda – there were 4 rooms containing 12 beds in total. The corridor was hung with enlarged photographs of typical Štramberk street scenes. The wooded area outside the cottage provided welcome shade for hikers. In 1928 several alterations were made to the surrounding area, with the castle walls modified to create a courtyard where the owners of cars or motorcycles could park their vehicles. 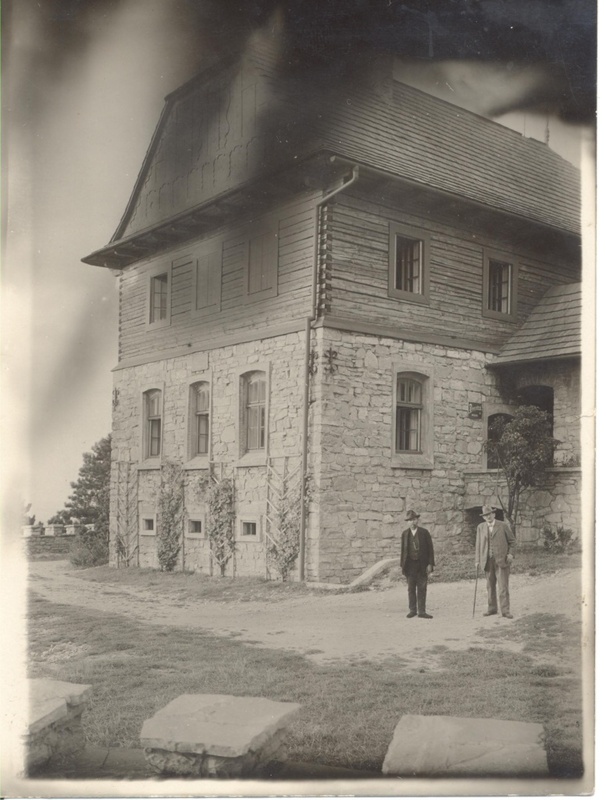 After the Second World War the cottage was renamed in honour of the doctor and local historian Dr. Adolf Hrstka. While digging the foundations for the cottage, workers discovered a cave with a depth of around 60 metres – the bottom of the cave is on about the same level as Štramberk’s town square. It was named the ‘Sláma cave’ after the local writer František Sláma, whose works often featured local historical characters and legendary figures. The plans for the cottage were altered to create a room which would allow the local branch of the hiking club to create an entrance to the cave (financial circumstances permitting). The cottage was built almost exactly on the original site of the former ‘Lower Castle Palace’, which was connected to the ‘Upper Palace’ under the Trúba tower by a drawbridge. 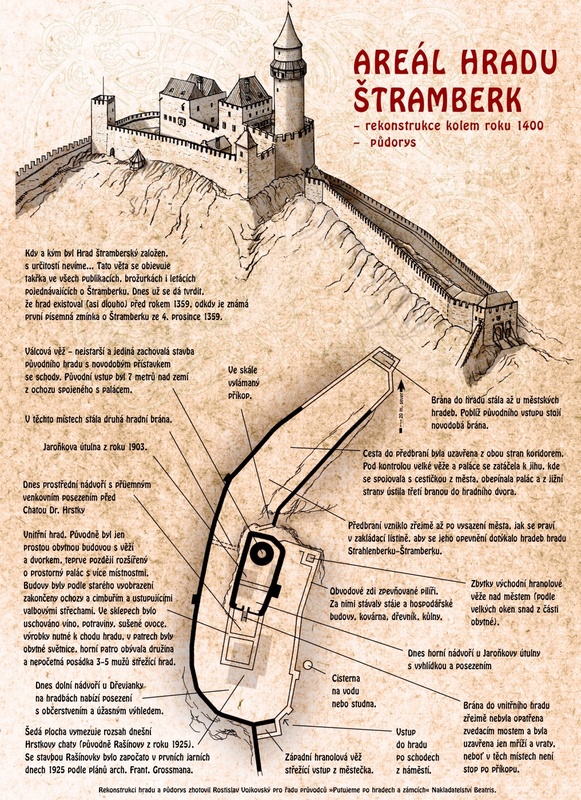 The ‘Upper Palace’ was roughly where Jaroněk’s shelter stands today.